The Dornier Do 217 was a bomber used by German Luftwaffe during World War II as a more powerful version of the Dornier Do 17, known as the Fliegender Bleistift (German: "flying pencil"). Designed in 1937 and 1938 as a heavy bomber, its design was refined during 1939 and production began in late 1940. It entered service in early 1941 and by the beginning of 1942 was available in significant numbers. The Dornier Do 217 had a much larger bomb load capacity and had much greater range than the Do 17. In later variants, dive bombing and maritime strike capabilities using glide bombs were explored in depth with considerable success in the later role. Early Do 217 variants were more powerful than the Heinkel He 111 and Junkers Ju 88, having a greater speed, range and bomb load. Owing to this it was designated a heavy bomber rather than a medium bomber. The Do 217 served on all fronts in all roles. On the Eastern Front and Western Front it operated as a strategic bomber, torpedo bomber and reconnaissance aircraft. It also performed tactical functions, either direct ground assault or anti-shipping strikes during the Battle of the Atlantic and Battle of Normandy. 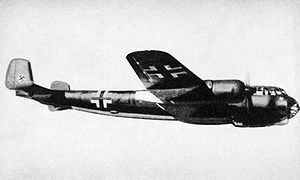 The Do 217 was also converted to become a night fighter and saw considerable action in the Defense of the Reich campaign until the last day of the war. The type also served in anti-shipping units in the Mediterranean, attacking Allied Convoys and Sea power during the campaign. It was in the Mediterranean that the Do 217 became the first aircraft in military aviation history to deploy a form of precision-guided munition, in the form of the Fritz-X radio-guided, free-fall bomb in combat which led to the sinking of the Italian battleship Roma in 1943. After the end of the war, at least one Dornier Do 217 continued in active military operational service with the Swiss Air Force until 1946. Picture - The Dornier Do 17. The Do 217 was to be a larger, improved version in all areas. At the beginning of 1938, Dornier issued manufacturing specification No. 1323, recognising the need for a twin-engine bomber or long-range reconnaissance aircraft powered by Daimler-Benz DB 601B engines. In February 1938 the Reichsluftfahrtministerium (RLM - Air Ministry) authorized a testing program. Dornier worked on a version of the Do 17M with the all round vision cockpit of the Do 17Z and a fuselage having a large bomb bay capable of holding a maximum of two 500 kilograms (1,100 lb) and ten 50 kilograms (110 lb) bombs. For reconnaissance an Rb 50/30 movie camera was fitted ahead of the front spar of the wing, and an Rb 20/30 was mounted in the second bomb bay. Jettisonable fuel tanks were carried in the forward bomb bay. For smoke-laying, the aircraft could be fitted with two Type S200 smoke generators. Dornier also envisaged the Do 217 as a naval dive bomber, in which case it was to be fitted with twin floats. In April and May 1938, the Do 217 WV1 and WV2 prototypes were produced. The wing span was to be slightly larger than the Dornier Do 17 by one metre. Its overall span was now 20 metres (65 ft 7 in). Under the wing a retractable diving air brake was to be installed. To power the aircraft the Dornier office at Manzell had favoured two DB 601B engines which could generate 1175 PS (1159 hp, 864 kW) for take off. The Jumo 211, Bramo 329 and BMW 139 (forerunner to the BMW 801) were also considered. Which ever of the power plants were selected the RLM expected the aircraft to achieve a maximum speed of 520 kilometres per hour (280 kn) and have a weight of 10,200 kilograms (22,000 lb) fully loaded. On 5 June 1938 Dornier's overview of its design submitted to the Technical Bureau (Technisches Amt) highlighted some structural differences with the Do 17. In particular, the proposed increase in the bomb load to 1,500 kilograms (3,300 lb) had to have been a vital factor in the designs acceptance. The fuselage was to not only bigger but structurally stronger. The RLM also had other requirements for Dornier to fill. Since 1933 the German Navy (now know as the Kriegsmarine) had pressed for the formation a Naval Air Arm. In January 1938 the Naval Air Arm Inspectorate of the Luftwaffe presented its requirements for an all metal aircraft for multi-purpose aircraft to conduct maritime operations. 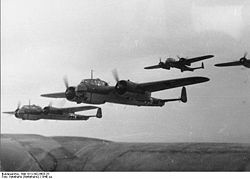 On 5 February 1938 it was agreed with the General Staff, which had said up until that point, the naval air attack capability of German air units was poor in multi-engine bomber units. At the Travemx�nde Test Centre, together with Greifswald training units and a few naval air units practiced bombing the ship Zx�hringen concrete bombs. The results were a two percent hit rate. Junkers Ju 87 dive bombers repeated the assault with a 40% hit rate. The superior hit rate of aircraft with dive bombing capabilities was clear. The Luftwaffe also wanted a machine that could operate as a fighter aircraft to combat enemy aircraft. 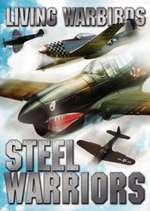 Essentially they wanted a "sea Stuka" (Junkers Ju 87). The aircraft was to have floats and a range of 1,500 kilometres (930 mi) and a maximum speed of 400 kilometres per hour (220 kn). Dornier set about designing a Dornier floatplane. For hitting targets in the air and sea surface, four machine guns would be fitted in the nose. The armament would consist of two MG 17 machine guns (500 rounds of ammunition each) and two MG 204 machine guns (200 rounds of ammunition) as part of the Dornier Do 85P project. Heavy weapons consisted of one 500 kg or two 250 kg bombs for assaulting enemy Warships. Dornier faced competition from Heinkel and Junkers who were developing the Junkers Ju 88 and Heinkel He 115. Instead of MG 204s, MG 151 or MG FF was installed instead. Defensive armament was to consist of MG 15s to cover the aft approach. In addition the pay load could be modified to one 500 kilograms (1,100 lb) and eight 50 kilograms (110 lb) bombs or even two SC 500 bombs. The floats had a volume of 8,100 litres (1,800 imp gal) and were broken into compartments for safety reasons. Each float was to contain a fuel tank with a capacity of 500 litres (110 imp gal). The tail was to consist of the same twin stabilizer configuration as the Do 217, although a single fin was planned. For dive bombing capability a dive brake was installed underneath the wing, like the Ju 88. The power plants were to reflect the speed requirements. It was envisaged two DB 601G engines, generating 1,300 horsepower (970 kW) or two Jumo 211s. The fuel tanks to supply the power plant were located in the wing and fuselage which had a capacity for 2,000 litres (440 imp gal) of aviation fuel and 190 litres (42 imp gal) of oil. At full weight the Dornier would reach 360 kilometres per hour (190 kn) and its effective range was to be expected to be 1,880 kilometres (1,170 mi). Its optimum range at an average cruising speed of 270 kilometres per hour (150 kn) at an altitude of 4,000 metres (13,000 ft), was 2,800 kilometres (1,700 mi). The specifications were dated 8 March 1938. The Do 217 lost out in the naval aircraft to the Ju 88 and Blohm & Voss Ha 140, as the Luftwaffe favoured these designs owing to the Do 217 failing to live up to the specifications given. Although specifically ordered to cease development of the naval version of the Do 217, Dornier unofficially pursued the project and produced the Do 217W V1 and W V2 prototypes. By the summer, 1940 the Luftwaffe had been using the Dornier Do 18, Heinkel He 115, Heinkel He 59, Heinkel He 111 and Junkers Ju 88 in maritime operations in the Baltic. At this point, the Ju 88 and He 111 equipped units were ordered to cease providing maritime support en masse. Instead, the Luftwaffe returned to the idea of the Do 217 and its floatplane version as a specialized naval attack aircraft. At the same time more plans were in place to produce extremely long-range aircraft (probably for operations deep in the Soviet Union). It is possible that the data sheet which Dornier gave the designation Do 217G was a part of that project. Unlike the Sea Stuka, floatplane, the G was to carry an MG 151 mounted in the nose and three MG 15s fitted for defence. The G was expected to reach 14,900 kilograms (33,000 lb). It was still designed for a crew of four and equipped with sprung floats which would allow the aircraft to land in rough open seas. The G could also carry the entire variation of the E-1 bomb load it could carry a load twice that of the Do P 85 aircraft. 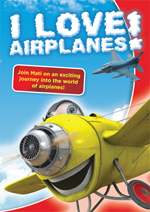 Unfortunately, the Do 217 E-1s performance was favoured. Nevertheless, the Gs design features figured and influenced the E-4 which went into production as the aircraft that would become the backbone of the Luftwaffe's Battle of the Atlantic bomber fleet. At the end of August 1938 arguments against the floatplane version arose in favour of a land based aircraft to serve as a torpedo bomber in the Battle of the Atlantic, with its more numerous potential applications, were accepted. At the beginning of January 1939 the RLM stopped all work on the marine dive bomber version, as its estimated performance was not adequate. On 8 July 1939 Dornier issued a manufacturing specification for a Glide-Bomber version for full maritime use. It was to be equipped with BMW 801 engines. In contrast to the earlier description of the design, the Do 217 E had a new nose and the nose, cockpit rear, and ventral positions carried one MG 15 each. The design was to carry a maximum bomb load of two SC 500 and two SC 250 bombs. It was also possible to carry a torpedo or aerial mine. A dive brake was fitted to the tail to deploy during anticipated dive bombing missions. These features increased the designs weight to 10,500 kilograms (23,000 lb). Dornier had intended the speed to be in the region of 530 kilometres per hour (290 kn). Superficially a scaled up Dornier Do 215, and initially powered by the same engines, the Do 217 was actually considerably larger and totally different in both structural and aerodynamic design. The first prototype (the Do 217 V1) flew on 4 October 1938, but crashed seven days later during a single engine flying test. The aircraft had been piloted by Rolf Koeppe, a flight commander at Rechlin. A Dornier mechanic, Eugen Bausenhart was also on board. It was found to be underpowered and was not manoeuvrable when compared with contemporary bombers. Instability was a problem at first, but modifications such as fixed Handley-Page Leading edge slots along the leading edges of the vertical stabilizers to help to improve flight stability. The second prototype flew on 5 November 1938. After arriving at Friedrichshafen in June 1939, further evaluations were scheduled to take place. Plans were made to install Daimler-Benz DB 603 engines to enable the aircraft for high-altitude reconnaissance. This meant the fitting of a pressure chamber. When Daimler-Benz failed to supply the engines, development came to a stand still. On 29 October the RLM ordered the aircraft to be scrapped, or a new use found for it. A third flew on 25 February 1939. The third machine had Jumo 211A engines in place of the DB 601s. On 15 August 1939 and 23 January 1940, the aircraft was flown to Rechlin where it was tested in night flying trials. A number of the flights were to assess the performance of the new Siemens navigation aids under development. At the same time, Dornier also carried out fuel jettisoning and drop tank trials using 900l external tanks. As with the Do 17, the test team tried several tail configurations with the Do 217 V3. Single, double and triangular assemblies were tried. These designs were used in the Do 217 M-3, M-9 and Dornier Do 317. The same units were used on the fourth V4 prototype which flew in April 1939 at Friedrichshafen and Rechlin. The Jumo proved to be the best, and the designers deemed them to be essential if the desired performance was to be achieved. In February 1941, the V4 began trials with the dive brake which was installed in the tail. This was to satisfy a demand for the Do 217 to conduct dive bombing missions. It also was fitted with a brake parachute to test the ability of the Dornier to conduct short landings. The parachute brake was also considered in use as a dive brake. The V5 prototype was fitted with them and flew in June 1939. Later it was retested with DB 601s and was the third of six aircraft given the official designation Do 217A-0. The Jumo 211 B-1 was used in the V5 prototype. But in September 1939 the water pump and entire cooling system failed. On 28 April 1940 the DB601 A-1s were fitted. The V6 prototype was powered by Jumo 211B engines, but was also tested with DB601s. The V7 was tested with BMW 139 engines but their use was never taken beyond the prototype stage. The V8 was given BMW 801 engines, which became the fixture for the entire E series. The Do 217A and C series were only built in small numbers. Owing to this the following D and F types never advanced beyond the design stage. There was a desire for the Do 217 to be capable of performing dive bombings, so it was therefore fitted with a tail-mounted dive brakes, with dorsal and ventral panels that were hinged at the rear of the tail extension they emerged from. This could not be made to function adequately in the early models however, and was omitted until the Do 217E-2 entered service. When this mark reached service, use of the dive brake was found to sometimes overstrain the rear fuselage, so it was often removed. The production specifications were ratified on 8 July 1939, with the ultimate goal of the Do 217 having the capability of flying maritime and land operations armed with glider-bombs. The four seat aircraft was adaptable to both land and maritime operations wherein the tactical emphasis was on bombing from a 50 degree dive angle, and it had a maximum speed of 680 kilometres per hour (370 kn). In contrast with earlier specifications for a modified version of the Do 17M, the proposed Do 217E had a new nose section design in which the A-Stand position was armed with a MG 15 machine gun. Additional MG 15s were to be located in the B and C-Stands. The design teams configured the bomb bay to carry two SC 500 and 250 bombs or four SC 250 bomb loads. In addition a LMB II aerial mine, or an F5 Torpedo could be loaded. Instead of the dive brakes being installed under the wings as on the R variant, it was placed on the tail of the aircraft. The design was tested in the E-1 and became the blue print for all subsequent sub-variants. The E-1 carried strengthened wing and tail structures to deal with the upgraded armament increased the aircraft's weight. Nevertheless, carrying a full bomb load the 10.5 tonne aircraft was capable of achieving a maximum speed of approximately 530 kilometres per hour (290 kn). The Do 217 was a shoulder-wing cantilever monoplane. Its two-spar wing was built in three sections: the centre-section, incorporating part of the fuselage, and two outer wing sections with semi-circular wing tips. The stress bearing skin was riveted to spars and ribs. Owing to its future use as a dive-bomber, stressed skin construction was employed with the use of Z-section frames and stringers. Slotted ailerons were fitted to the outer wing sections. The inner split flaps were electrically operated and had a maximum flap angle of 55�. The ailerons were linked, meaning if the flaps were lowered the ailerons drooped down. The design of the rear and front spar attachments revealed the flanges of the spar were flushed with the wing surface making the most efficient structure. The outer wing leading edges were double-skinned. In the wing space, a hot air feed was fitted, using heat pumped through lagged pipes from the engines to warm up and de-ice the wings. The ducts were located just forward of the front spar flanges and in between the main spars where they could escape into the wing. The hot air could escape through the apertures at the aileron hinges. A diversion pipe was also installed in the engine nacelle, which could shut down the hot air flow to the ducts and divert the air out through bottom end of the nacelle if de-icing was not required. The fuel and oil tanks were located in the wing and centre section. The two outer fuel tanks were located next to the outer side of the engine nacelle. The outermost fuel tank contained a 35 imperial gallons (160 l) fuel capacity, while the tank closest to the engine could accommodate 44 imperial gallons (200 l) of oil. Both were sandwiched in between the main and rear main spar. In between the fuselage and inner side of the engine nacelle, the 175 imperial gallons (800 l) wing tank was located. In the centre section a 230 imperial gallons (1,000 l) fuel tank was installed forward of the bomb bay. According to the Dornier manual, the E-1 and E-3s main fuel tanks were the 795 litres (175 imp gal) tanks located between the wing and the engine. The outer 160 litres (35 imp gal) fuel tanks in the tips of the wings and main 1,050 litres (230 imp gal) tank in the centre section were named as "auxiliary" tanks. The fuselage was an all-metal structure built in three main sections. These consisted of the nose section, which accommodated the crew; the section built integrally with the wing centre section; and the rear fuselage. The main structure was built out of the standard stringer and former skeleton design, to which stressed skin was riveted. The centre and rear sections were divided in the horizontal plane to within a couple of feet of the tail. The lower half of the fuselage contained the bomb cells, while the remainder and upper parts contained the bracing frames which supported and kept the bomb load secure. In the lower half of the fuselage the bomb bay stretched past the trailing edge wing roots to nearly a quarter ways down the rear fuselage. Extra doors were added for torpedo operations against Naval targets. The extreme rear of the fuselage contained stowage space for anti-shipping weapons. In the upper fuselage, directly above the forward bomb cells in the centre section, just aft of the cockpit, the 242 gallon fuel tank was located. Attached to this was a fuel jettisoning pipe which was fitted to the roof of the fuselage and ran along it to the tail of the aircraft. It declined and exited the fuselage behind the tail wheel to allow fuel dumping in an emergency. Above the two rear bomb cells in the centre section, a Dinghy stowage place was created. To protect its very vulnerable structure against enemy fire, it was placed in a heavily armoured case. Either side of the Dinghy, aft of the 242 imperial gallons (1,100 l)gallon fuel tank, and directly above the rear bomb bay, the designers saw fit to install the oxygen bottles. In the extreme tail unit, the tail wheel was retractable and had its own folding doors. The tip or end of the fuselage could be removed to allow quick access for mechanics to enter the tail section and repair the jack mechanism which controlled the tail plane incidence and pivot. The tail incidence was automatically changed when the landing flaps were lowered, or it could be adjusted manually. This tip would be replaced by Dive brakes in the event the Dornier was required to attack precision targets. The stabilizers consisted of two horizontal stabilizers, but instead of one centrally located Vertical stabilizer, it had two attached on the outer end of the horizontal stabilizers. The rudder contained a balance tab while the elevators contained a elevator balance tab and an automatic dive pull-out tab, in the event of a dive-bombing mission. The stabilisers were fitted with fixed slats, with the trailing edges of the slats positioned inside of the fins. The rudders had very narrow horn balances (the amount of rudder or active control surface forward of the rudder-stabilizer hinge) which allowed for better balance and the trimming tabs extended the full length of the stabilizers trailing edges. The stabilizers also had the Handley-Page Leading edge slots installed on the inboard side. All the Do 217E variants were fitted with BMW 801A (the early variants were to be fitted with a BMW801B engine design, but were not) air-cooled 14 cylinder air-cooled radial aircraft engine built by BMW. They were mounted on welded steel tube mountings at the extremities of the wing centre section. The coolant radiators were located underneath the engines, while the oil radiators were mounted atop the cowling. The machine had two oil and five fuel tanks to "feed" the engines, and they were protected with rubber and self-sealing coverings. In an emergency, CO2 (or carbon dioxide) could be released into the tanks to extinguish fires. The engines had three-blade, light alloy VDM propeller units installed. Flame dampers were also fitted in the form of "fish tail" exhaust pipes. Such a configuration gave a speed of 470 kilometres per hour (250 kn) at sea level and 530 kilometres per hour (290 kn) at 6,700 metres (22,000 ft). It enabled a service ceiling of 7,300 metres (24,000 ft) when fully loaded and 8,200 metres (26,900 ft) when lightly loaded. The Do 217s range was a much more impressive 3,900 kilometres (2,400 mi), (compared with the other German bomber types). The engines and its supporting struts were positioned well forward of the leading edge allowing plenty of room for the undercarriage and other components. In the upper forward part of the nacelle the de-icing tank was located. The undercarriage was the main structure in this part of the aircraft. Each main unit comprised two oleo legs and a solitary wheel. It was retracted electrically via the crew in the cockpit. The Do 217, usually, carried a crew of four. Included was a pilot, an observer/bomb aimer, front and dorsal gunner and a flight engineer/ventral gunner. As with the Dornier Do 17, the crew were positioned in the cockpit cabin forward of the engines and leading edge. The pilot sat on port side, with a spectacle-type control column moved in and out of the instrument panel to operate the elevators. The bomb aimer sat on his immediate right. In combat he could move forward into the nose and operate the bomb release gear or adjust the (sometimes) moveable fitted 20mm cannon. On the right side of the nose, the bomb aimer's window penetrates the cockpit and is visible as a bulge on the exterior. Behind the forward facing crew members the radio operator/dorsal gunner sat behind the pilot on the port side, his seat facing to the rear. The seat of the ventral gunner/flight engineer sat next to the radio operator facing forward, behind the bomb aimer. During operations the ventral gunner/engineer would lay on his stomach facing aft, his post as a gunner taking immediate and first priority. The pilot had a curved shield of Armour plating, 8.5mm thick, placed behind his seat. His seat had a further 5mm (� in)of armour and another 5mm (� in) plate above his head, installed in the top of the cockpit roof. The dorsal gunner also was protected by armour plating. The position of the Funkgerx�t or FuG radio communication device compartments were located in the extreme rear of the cockpit, near the leading edge. The automatic pilot panel was located next the FuG boxes. In the right-rear of the cockpit the piping that was also attached to the de-icing ducts in wings also enters the cockpit, as part of a single heating system to emit warm air to heat the cabin if needed. The FuG X, 16, navigational direction finder PeilG V direction finder (PeilG - Peilgerx�t) and the FuG 25 IFF and FuBI 2 blind landing devices were used in the E-2. The defensive armament consisted of a A-Stand pod (forward firing machine gun position) in the nose, which manned a MG 15 machine gun. In the C-Stand (lower rear gun emplacement) and B-Stand position (rear-upper gun post) the crew were provided with MG 131 machine guns. In the side of the cockpit, two MG 15s were mounted (one on each side) on bearings. As well as the manual machine gun positions, this variant was equipped with a DL 131 rotating turret armed with 13mm machine gun. In some instances, a moveable 20mm cannon was fitted in the nose and a fixed 15mm weapon was installed in the floor of the nose. The weapons could be controlled by the pilot, via a firing button located on the yoke. To assist in acquiring his target, a Revi C12/C was installed in the cockpit. The bomb load consisted of 4,000 kilograms (8,800 lb) of bombs which could be loaded into the bomb bay in varying configurations. To have this maximum load, part of the main 242 imperial gallons (1,100 l) fuel tank had to be sacrificed. If long distance operations had to be flown with this bomb load, jettisonable tanks had to be fitted under the wings, which affected the speed. Beside the bomb load a LT F5 Torpedo could be carried as well as three aerial mines (the E-1 did not carry the mine load of the E-2). Picture - Henschel Hs 293 missile. It was first tested with the E variant. The E series was the initial major production variant, based on V9 prototype, and powered by two BMW 801 radial engines. Deepened fuselage with larger bomb-bay, entered production in 1940. The V9 had been planned as the prototype for the E-1 variant. The V9 had a fixed MG 151 with 250 rounds of ammunition while the MG 204 was to be installed in the nose. The type was fitted with a dummy run of Lofte 7 and BZA 1 bombing systems. The main armament was to be a single torpedo of either SD 1000 or SC 1700 standard. When the mock up had been given the green light for technical development construction began in the spring, 1940. During September 1940 engine vibration problems were experienced but fixed quickly. During flight tests it was discovered the air brake caused a speed loss of 2 metres per second (4.5 mph). The V9 underwent heavy tests and was withdrawn to Rechlin where it acted as a prototype until at least October 1943. During this time it also had trials with BMW 801A-1 and BMW 801D engines. The E-0 was a pre-production bomber/reconnaissance version of Do 217E. It was powered by BMW 801A engines and armed with one forward firing 15 mm MG 151 cannon and five 7.92 mm MG 15 machine guns on gimbal mounts. Entered production and service in late 1940. Continued development led to the Do 217 E-1. The Do 217 E-1 first flew on 1 October 1940. Full production level bomber/reconnaissance variant, similar to the E-0, and followed it into production and service in late 1940. Some 94 built. Additional armament consisted of a 20mm cannon fitted in the nose. It power plants were BMW 801s of 1,560 PS (1,539 horsepower (1,148 kW)). The aircraft could carry 16 SC 50 or one SC 1800 bomb. Alternatively, it could carry a load of two LMW aerial mines or one torpedo. The E-2 could carry three mines. In late 1940, testing under operational conditions began. By March 1941, 37 217s had been built and test flown. Many of the E-1 variants, now being built in increasing numbers, were selected for conversion to the new improved fighter variants; the planned 217H, P and R series. A large number and these 'fighter/bomber' aircraft were put through severe testing runs between July and September 1941. Dornier was able to gain valuable knowledge for the future improvement of the armament and bomb jettisoning systems. Of the first six prototypes, two (the third and sixth) were delivered to operational units. The third, Wrk Nr. 1003 was lost on 22 May 1941 (at Rechlin) and 1006, the sixth prototype, was severely damaged on 11 April 1941 whilst with Kampfgeschwader 40. The E-2 was designated as a level and dive bomber, which could be fitted with a clamshell design dive brake, mounted aft of the elevator's rear edge on the fuselage, with rear-end-hinged dorsal and ventral "petals" opened and closed with a jackscrew. It was powered by BMW 801L engines and armed with forward firing 15 mm MG 151, single MG 131 machine gun in dorsal turret, MG-131 in ventral step and three MG-15 machine guns. The E-2 entered production slightly later than the E-3 level bomber, and was produced in parallel, a total of 185 being built and entering service from summer 1941. The Luftwaffe continued to develop the E series. Not satisfied with the E-1, it perfected a modified version it designated the E-2. Testing was not complete until March 1942. The prototype was Do 217 D-ABWC, which had arrived as an E-1 at Rechlin in mid-July 1939 for performance and tactical evaluations. Between that time and completion in March 1942, 34 reports were written in minute detail about all aspects of the Dornier's performance and systems. Improvements were added to existing E-1s, which were already being produced by late 1940, and to the prototypes V2 and V4 which would serve as the prototypes for the E-2. The V2 was given the DB 601 engines and a third aircraft, designated V4, was tested with Jumo 211s. Studies of the aircraft began on 15 August 1939, running concurrently with the development of the E-1s. Level, dive and torpedo carrying roles were all examined. Emphasis was also place on developing a reliable reconnaissance type. These developments were significant as the trials undertaken by the E-1 prototype had not shown any negative characteristics. Level bombing tests were very positive. Only Glider-bomber attacks using interception control, and with dive-brakes open, did not quite match the stringent specifications set some four years earlier. According to the test pilots, the aircraft performed well with either the DB 601A, Jumo 211A/B, or even the BMW 801A-1 engines. Pleasing the designers, the test pilots also noted that with all auxiliary bomb racks removed test flights showed at an altitude of 6,000 metres, the Do 217 was quite capable of making an operational range of 2,400 km. With the addition of two 900 litre tanks, it increased to 3,700 km. The BMW 801 was the powerplant of choice, and although tested by the summer, 1942, the lack of replacements, low production on the usage of them in the Focke Wulf Fw 190 series, prevented large-scale operational testing under combat conditions. In September 1941 Flame dampeners were fitted and testing completed. These fittings proved useful for all night operations regardless of the role the Do 217 was asked to perform. Further innovations were made regarding the installment of reconnaissance equipment, namely the standard Rb 20/30 cameras. During this final phase, plans to construct and designate an E-1b with MG 131 turret was explored, but later shelved. Modifications were also made on the already operational E-1s before the E-2 entered service. One such modification was the installation of MG FF 20mm canons, the installation of a hand-held MG 131 in the forward facing glazing of the cockpit and a MG 131 turret facing aft in the B position (rear cockpit covering the rear). De-icing systems were also installed in the cabin and tailplane for high altitude operations. Production of the E-2 began in March 1942. Some twelve of the 280 produced at Friedrichshafen were used as testbeds to keep pace with the constantly changing series specifications. Two, Wrk nR. 1221 and 1228 functioned as testbeds for the BMW 801 L-2 engines as well as flights to assess the installation of auxiliary 300, 900 and 1,200 litre fuel tanks. During this time, an E-2 equipped with lattice-type airbrakes appeared. It had been designed in June 1940. Its weaponry consisted of a fixed MG 151 in its nose and a MG 15 and the A position. Three rotating positions were put in the B and C stand positions. The machine resembled the Junkers Ju 188. Later it was installed with Kutonase (cable cutting equipment). The Do 217E-1 and E-2 could reach 535 km/h at 5,300 m and none had a problem with maintaining altitude with BMW 801s, even with weapons, dive-brakes and dampers added, provided it had a A.U.W (all up weight) of less than twelve tons. Machines over thirteen tons were difficult to handle and needed experienced pilots at the controls. The failure of the Heinkel He 111, Dornier Do 17, and Junkers Ju 88 during the Battle of Britain and The Blitz led the OKL to see the Do 217 as the only heavy bomber in the Luftwaffe which had the range, bombload and fighter defences for long-range bombing attacks. The E-2 had incorporated all the new design features such as the DL 131 turret and reduced fuel tank, which allowed the bomb bay to be expanded to accommodate 4,000 kg of bombs. The reduction of fuel capacity meant external tanks had to be fitted under the wings reducing the Dornier's speed. The E-1s originally were given the FuG X, 16, 25 and PeilG V and FuBI 1 radio sets and navigation aids. The E-2 was given the FuBI2. In the next two variants, the E-3 and E-4, the Siemens FuG 101 electric altimeter was also added enabling thr pilot to conduct more accurate and safer low-level attacks. The E-1 had R1 racks for 1,800 kg or bombs, the R2 wing rack and R3s for 50 kg of bombs. Dornier wanted to increase the strength of the racks to increase the size of external loads. A specialist company which had often collaborated with Dornier, Technischen Aussendienst, developed the R20 rack which enabled heavier loads to be carried. The R20 enabled to fixed MG 81Zs to be installed in the tail cone. The previous lattice air brake was removed; the drag was too much and it bent the fuselage out of shape, making the aircraft unsafe and hastening metal fatigue. In the E-3, additional armour was fitted to protect crew. Armed with forward firing 20 mm MG FF cannon and seven MG 15 machine guns. (Despite the large number of machine guns, the defensive weight of fire was light, with five of the gimbal mounted machine guns to be operated by the radio-operator, who could only use one at a time). The E-4 was similar to the E-2, which it replaced in production, but with the dive brakes removed. It was fitted with Kuto-Nase barrage-balloon cable cutters in the leading edge of the wings. 258 E-3 and E-4 were built. The E-4 was identical to the E-2, with the exception of the heavy MG FF in the nose. Five of the six positions were flexible, with only one fixed gun; the MG FF installed along the floor, just off centre. The cannon in the nose could be moved. Both were powered by BMW 801L engines. The E-5 was a modified version of E-4 for anti-shipping operations. It was fitted with a bomb carrier for a Henschel Hs 293A guided missile or drop tank under each of the outer wings, and carried the appropriate guidance and control systems for the missile. It was usually operated with a missile under the starboard wing and a drop tank under the port wing. Some 70 were built. Thirty-four Do 217 Es were used and adapted for use with glide bombs in May 1942. The PC 1400 X rack was fitted to enable deployment of the Henschel on six Do 217s. Testing with glide bombs was halted as the electrics were too sensitive to moisture, rockets prone to icing and the radio valves in the control units (in the aircraft) were disrupted by vibrations. By May 1942, hit rates were just 50 percent. In April 1942, the first E-5 reached the test centres at Peenemunde. Various test were made with aircraft with anywhere from 15.4 and 16.5 tonnes in all up weight. Often these tests were made to asses flight characteristics when carrying glide bombs such as the Hs 293. The E-5 was given heating units to keep the cold form the heat-sensitive glid bombs' electrics. With external ETCs, but without Glide bombs and auxiliary fuel tanks, the E-5 could attain of a speed of 480 km/h at 5,000 m. With two external stores, its speed was reduced to 445 km/h and its weight, including 4,300 litres of fuel, was 16.85 tonnes. The Do 217E-2/U1 was used as a E-5 prototype. Whether a E series Do 217 ever launched a Hs 294 glide bomb is unclear. The only known fact is that a Do 217 flew a Hs 294 to Berlin-Schonefeld in May 1943. 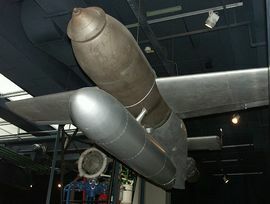 The first launch of the missile was done from a Messerschmitt Bf 110, and thereafter was taken over by the Heinkel He 177. Only the Do 217, He 177 and Focke Wulf Fw 200 could carry a Hs 293/4 or Fritz X missile. Picture - Do 217K-2, with the K-version's standard "stepless cockpit". To replace the Do 217, the RLM focussed on the He 177A-3 and A-5 to be the long-range carrier aircraft for missiles, owing to the lack of BMW engines to power the Dornier. The Battle of Stalingrad used up more and more aircrews which prevented them retraining on the Do 217 for glide bomb operations. Owing to problems with the Heinkel, Milch returned his attention to the Do 217 and demanded a greater number of improved variants for missile operations. In early 1942, tests on a new and improved, completely glazed cockpit enclosure for the Do 217 series had been underway at the Hamburger Schiffbauanstalt (Hamburg Shipbuilding Institute). E-2s were fitted with a new streamlined "stepless" cockpit enclosure, the general standard for almost all German bombers later in World War II, which eliminated the separate windscreen panels for the pilot that earlier versions had possessed. The lower nose of the K-version also retained the Bola inverted-casemate gondola for a rearwards-aimed ventral defensive armament emplacement, with its forward end fully incorporated with the new nose glazing design. Initial flights took place on 31 March 1942 after inevitable structural issues had been resolved. The first of two KV1s (K series prototype) flew with BMW 801A-1s from Lowenthal and Rechlin. This was followed by the zero series models, Do 217 K-1 to K-10. Mass production of the Do 217K-1 began at the Dornier factory at Wismar. The Do 217K eliminated the stepped windscreen of the 217E. Both shared the new design of the all-round vision cockpit, similar to the He 111. The testing for this new design was carried out at the Shipbuilding institute in Hamburg. There, the structural design of the cockpit was put to the test using water pressure to simulate a speed of 700 km/h. Only a few of the glass panels failed, and they did so only to inadequate mounting. The cabin design past the tests easily. More powerful BMW 801 G-2 engines replaced the 801L engines of the E-4. The first prototype, a modified E-2 flew on 31 March 1942, with the aircraft showing significantly higher maximum speed owing to the more powerful engines and reduced drag. The Do 217 K entered production from September 1942. The type, BMW believed, could reach an operational ceiling of 7,000m, notwithstanding an A.U.W of 16.8 tonnes. Tests at Peenemunde in June and July 1943 showed that the K could carry a PC 1400 X stand-off bomb, the K series was still controllable. The Do 217 K-1 was a production night bomber version. It carried the same crew of four in the re-designed crew compartment, but had a revised defensive armament of a twin 7.92-mm MG 81Z machine gun in the nose, two (later upgraded to four) single MG 81s in beam positions, a MG 131 in the B stand position turret, the A DL 131/1C, and another in a ventral position inserted in a WL 131/1 cylindrical carriage. About 300 were built. Using the 1,559 hp (1,147 kW) BMW 801 engine. Armament consisted of a MG 81Z in the nose and one MG 131 in the dorsal and ventral positions (B and C stands). Two to four MG 81 guns in the side of the cabin windows. It had an average flying weight of 12,700 kg, this aircraft achieved speeds of 520 km/h at 5,200 m. A few K-1s were converted E-4s. The K-1 was equipped with GM 1 boost, which increased the K-1s maximum speed by 84 km/h at 8,000 m at a rate of 100 g/sec. With 50 g/sec the aircraft's operational ceiling could be extended from 8,400 to 9,800 metres. But failure rates of the GM 1 were very high and attention was shifting to other Do 217 variants. So the use of GM 1 soon stopped. Serious shortages of the BMW 801 led to the cancellation of the K series. However, tests with BMW 801ML engines saw a command unit which could engage the booster switch, ignition timing and the weak-rich mixture control automatically, which made the 801ML powerplants easy to operate. Oil pressures also triggered the VDM propeller. The blades themselves were 3.9 m. A 3.8 wooden propeller could be used as an alternative. The standard 2,165 litre fuel tank could be supported by two fuselage tanks with 700 litre capacity or external tanks with 300 to 900 litres. An A.U.W of 15 to 16.5 tonnes could be expected. The K-1 would need some 850 to 1,110 m to get airborne. Taking off from a grass strip, an altitude of 20 m was reached after 1,500 m and from a concrete runway it was 1,300. With two auxiliary tanks its speed dropped by 4.5 percent, and with bombs, by 6 percent. Fire-extinguisher equipment also caused serious speed reductions; 7 percent in level flight and 9 percent when at operational ceiling. The next variant, the Do 217 K-2, was a specialised anti-shipping version based on the K-1, the Do 217K-2 was intended to carry the Fritz X guided bomb, being fitted with pylons to allow carriage of two Fritz Xs inboard of the engines and the appropriate Kehl guidance system transmitter emplacement. It had longer-span wings (24.8 m (81 ft 4� in) compared with 19 m (62 ft 4 in) for the K-1) to give better high altitude performance when carrying the heavy Fritz-X bombs. About 40 were built. The wing area was expanded by a total of 67m�, but most of the K-2s internal equipment was the same as the K-1. The increase in area was to increase high-altitude performance. Some of the K-2s had a rigid tail MG 81Z which was not especially effective. It was loaded with 350 rounds and controlled by the use of a rear facing telescope mounted in the forward section of the canopy left of the pilot. Either the gunners or pilot could activate the weapon which could be jettisoned in case of an emergency to reduce weight. The next variant was the Do 217 K-3. A revised anti-shipping version, the Do 217K-3 was similar to the K-2 but fitted with improved missile guidance equipment to allow the use of either Fritz-X glide-bombs or Hs 293 missiles. About 40 were built. The K-3, to all intents and purposes, was a conversion of the Do 217M-1 in the late summer, 1943. It was given the K-2s larger wings. When fitted with external ETC weapons racks it was named the K-3/U1. It had improved armament, a MG 81Z and MG 81 I in the nose. The K-3 did not roll off the production lines until the beginning of 1944. The Dornier Do 217M-11, its intended successor as the standard missile platform, was only produced in small numbers owing to slight production capacity. 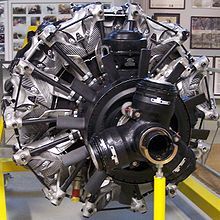 As the BMW 801 radial engine used by the Do 217K was in heavy demand for the Fw 190 fighter, the Do 217M, a version powered by the Daimler-Benz DB 603 liquid-cooled V12 engine, was developed in parallel with the 217K. It shared the new forward fuselage of the 217K, with the first prototype flying on 16 June 1942. According to RLM plans, production of the M model, which was powered by DB 601A-1s was due to commence with two aircraft in May 1942 and 10 M-1s in the summer. By March 1943 a production target of 42 aircraft per month was to be achieved. The DB 601A-3 was chosen as the increased performance handed the aircraft improved characteristics. However, it had not been fully tested and a number of technical problems arose. A Do 217H (a glider-bomber for land operations with E-2 airframe) would be used for endurance testing. This would provide useful testing evaluations for the M-1. The M V1 was to be the first prototype. It was a E-2 conversion with altered cockpit and DB engines. It operated from Rechlin from September 1942. During the winter DB603s performed long-range and high altitude flights. On 16 November it was forced landed for unstated reasons. Different engine-cooling systems were tried and flame retarders added. Although the addition of the dampers caused a reduction in speed of 15 to 25 km/h depending on altitude. The first 0 series aircraft (M-01) crashed in lake Mx�ritz on 9 September 1942 while on an engine test. The M-02 was given wing reduction to 59m�, which became the predecessor of the M-3. The M-03 refined the design with BD603A-1 engines but crashed after a mid-air collision with a Dornier Do 215 on 14 May 1943. Six 0 series aircraft (Wrk Nr. 1241 to 1245) were manufactured. Rechlin log books included frequent references to a M-04 from December 1942 to May 1943. This aircraft was apparently used for de-icing and cabin heating tests as well as high altitude testing with DB603s. Some M-0 were used to evaluate performance with glide bombs (Wrk Nr. 1244 and 1245). These aircraft were named M-0/U1. Each had a ETC 2000 XII, under the fuselage. The M-1 night bomber version, equivalent to Do 217 K-1 but with DB603A engines. Carried similar armament and bomb load to K-1. Daimler-Benz DB 602s were also used on some variants to keep the airframes in service (the shortage of powerplants made this difficult). Mostly though, DB603A-1 engines were used on the M-1, its only major difference with the K series. The M-1/U1 incorporated the M defensive armament and the lattice air brake of the E-2. The MG 81Z and 131 were to be replaced by the MG 151 in the A stand. Problems with the air brakes prevented serial conversions. By November 1943 the M-1/U1 had matured into a night bomber with anti-glare protection in the cabin. The machine was equipped with a MG 131 in the nose, two MG 81Is in the cabin windows and two MG 131s in the B and C stand. Some M-1/U2s fitted with Kehl IV and rear-looking FuG 216 Neptun R radar equipment. Torpedo-bomber version of Do 217M. Only a single prototype was built, the Junkers Ju 88 being chosen as a torpedo-bomber instead. The M-5 series was a modified version of M-1 fitted with Hs 293 missile recessed under fuselage. Only one prototype was built. The last in the M series was the M-11. It was a revised anti-shipping version of M-1, with extended wings of K-2 and provision for one Fritz-X or Hs-293 under fuselage. Approximately 37 were built. In January 1941 Junkers concentrated on the C variant designs. It planned on producing 60 C-4s and 374 C-6s powered by Jumo 211s. It later transpired to Dornier that Junkers also wanted the BMW 801 to power the C-6. The power plants would also be supplemented with GM-1 nitrous oxide injection engine performance boosters for greater performance or alternatively, using the new, more powerful Jumo 213. The Ju 88s weaponry was improved by the addition of one or more MG FFs in the fuselage. Both the Do 217 and Ju 88 used the FuG 202 Lichtenstein BC sets, but later Ju 88s were given FuG 212 Lichtenstein C1s and later FuG 220s. The equipment of the Dornier did not change. Against this competition Dornier needed to improve the types abilities as a night fighter. The first problem Dornier attempted to overcome was long and short range capabilities. A modified E-1, (Wrk Nr. 42) was used to test the equipment for the forthcoming Do 217J. During testing the characteristics of the various types fire extinguisher hardware were carried out. Performance trials were carried out in January 1942 using a E-2, Wrk Nr 1122 which was put through its paces at the Lx�wental testing facility. The electronic equipment to be installed was listed as the FuG X, 16, 25 Peil G V air-to-ground communications and blind landing devices. The FuB1.1 was also listed as a potential piece, and if possible a FuG 101 radio equipment was to be fitted as standard. It was intended to J-1 with the Lichtenstein DB FuG 202, which had an effective range of 4,000 metre, with three tubes and a rear-mounted aerial. The weight of the of equipment would reduce the performance of the J-1 by 30 - 40 km/h so in January 1942, Dornier opted to install the IR spanner equipment instead of the Lichtensten. A rear braking system had also been in the original plan, but it was deemed unnecessary. The design was declared ready on 5 January 1942 and first flew later that month. The prototype was delivered to the Tarnewitz test facility where gunnery trials took place with MG FF and MG 17 weapons. Satisfied with the performance, series production began in March 1942. Production had commenced in March 1942, during which eight J-1s were built. I April, 13 followed and 55 were built in May. Despite this start production declined in June and this trend continued until November 1942, when only four were built. Dornier had been ordered to withdraw Dornier airframes for unspecified. Owing to this, by 31 December 1942, only 157 J-1s had been completed. Dornier kept a production run of 19 aircraft for evaluating equipment. These were to be used when Josef Kammhuber, General of the Night fighters demanded the J-1 to have a modified fuselages made available for upward firing cannon installed in the upper parts. This armament configuration was called Schrx�ge Musik ("slanted" or "oblique" Music). A prototype was given four MG 151s in place of its MG FFs and named J-1/U1. The prototype was modified in September 1942 and sent to the Tarnwitz Experimental Establishment on 14 October for tests on gunnery performance. The guns delivered 125,000 rounds during tests without problems. The concept was available for adoption, although Dornier had some reservations about the slow firing pattern of the MG 151/20. The Dornier appeared to be a very effective night fighter with significant hitting power. However it attracted strong criticism from the Luftwaffe. The first J-1 was delivered to 4./Nachtjagdgeschwader 1 in March 1942. The crew complained it was too heavy, criticised its take off and landing characteristics. The pilot complained it had "too little performance reserve". The aircrafts high service loading and its poor manoeuvrability in aerial combat did not enhance its performance reputation. Part of the types performance issues lay with the fact the MG 131 defensive guns and bomb release mechanisms had remained, and been built into the J-1 to allow for its use as a bomber. With eight machine guns mounted in the fuselage and the supporting ammunition, the weight was increased and outweighed the Do 217E by 750 kg. The J-2 night-fighter version of Do-217J was fitted with FuG 202 Lichtenstein radar in nose, and having the rear bomb-bay plated over. The MG FF/M of the J-1 were replaced by 20-mm MG 151 cannon. The J-1 was withdrawn from intruder duty following an order stopping night intruder raids against England, while the J-2 proved disappointing as a night fighter, showing poor performance and manoeuvrability, although they were used for early trials of the Schrx�ge Musik arrangement of upward firing cannon, three Js being used for tests in July 1942. Between 130 and 157 were built. 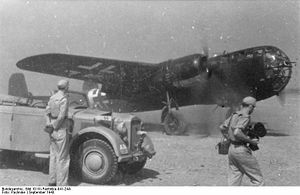 Complaints were made by crews about the performance of the Dornier in comparison to other German types. On 12 May 1942Erhard Milch ordered that Dornier cease all night fighter design. It was decided that the Ju 88 series only (Ju 88C-6) would continue to be developed and serve as a heavy night fighter. Strangely, the order was not passed onto the Dornier design team who continued to produce the N variant. Picture - Do 217N-1, captured at Straubing, May 1945. The end of the J series did not mean the end of the Dornier night fighter. One of the few German fighter pilots to side with the type against its critics was Hauptmann Schoenert of III./Nachtjagdgeschwader 3. Schoenert suggested to his Commanding officer, in July 1942, that trials be made by with slanting weapons (later known as Schrx�ge Musik) at an angle of 70� in the fuselage in the hope of increasing the efficiency of his Do 217. This entailed mounting four to six MG 151/20 guns in the centre of the fuselage. At Technisches Amt, two Do 217s, one with four and the other with six MG/151/20 cannon were ready for inspection on 5 August 1942 and testing in September. The idea of the upward firing cannon had originally come from an engineer, Dr. Poppendieck, in June 1942. Nevertheless Schoenert built on it, and with the introduction of the IR spanner and headlight, the bomber could approach from below a British bomber and avoid exposure to its powerful powered turrets guarding its tail, nose and upper fuselage by attacking from behind or head-on. Unlike the B-17 Flying Fortress the British bombers lacked a Ball turret and the new Dornier design attempted to take advantage. It was decided, owing to technical expense to limit the armament to four oblique guns. Other tactical improvements involved fitting a semi-rigid brake parachute on October 1942, allowing the Dornier to adjust to the speed of the bomber before firing on its target. The prototypes J-1/U2 and J-1/U4 were tested under these conditions. These designs were to be carried forward into the new variant, the Dornier Do 217N. The BMW 801 that powered the Do 217J proved underpowered, so a night-fighter using the more powerful DB 603A-1 engines was produced, with the first prototype flying on 31 July 1942. While it had much improved performance, it was still unpopular due to its poor agility and climb rate, and was prone to engine problems. Ten pre-production series N variants were designated as test beds. Trials began in the summer, 1942. On 16 August 1942 the Do 217 NV2 entered trials, the second prototype. The NV1 and NV2 were the main test beds, and the DB 603A-1s they were powered by were tested at high altitude. On 11 October 1942 the NV1 crashed after Stalling with its landing gear down and crashing into Mx�ritz Lake killing the crew. On 21 December 1942 engine 100 hour endurance trials began at Rechlin began with the DB engines. The pistons were rendered useless after 91 hours. Testing of DB 603 A-2 inline engines was carried out between the 28 April and 8 May 1943, but the programme was beset by continual breakdowns and the project was abandoned. There was no further record of the N variant prototypes after 20 June 1943. In April 1943, the four MG FF guns had started but were not completed until the late summer. The third prototype, N-1/U was fitted with MG 151/20 and unspecified aerodynamic refinements. The machine was used in high altitude de-icing tests and was the aircraft tested with Lichtenstein BCR and Bernhardine radar. In August ten of these aircraft were constructed and between 27 and 31 August, they were fitted with their Schrx�ge Musik at Tarnewitz and Wismar Testing Facilities. The tenth N variant, designated N-0, was tested with radio trials. The machine was tested with the Peil G VI/APZ 6, a later and more sophisticated variant automatic direction-finding equipment. On 2 December further tactical trials were carried out with infrared target illuminating equipment. These trials were carried out with DB 601 powered J-1s. After testing was satisfied the two variants, the N-1 and N-2, which had two sub variants, were fitted with FuG 202. The N-1 variants were given two sub variants which were to follow the design of the E-2/E-4 and the J-1/J-2 with emphasis on range and endurance. Extra fuel tanks were added to the empty bomb bay. For operations over water the heavy night fighters were fitted with lifeboats and radio transmitters. The FuG X with TZG 10 and FuG 16. IFF equipment was the FuG 25s. The N also had the FuG 101 radio altimeter, blind flying equipment FuB1 2 and PeilG V. AI search radar was the FuG 202. The defunct bomb release gear remained, bring the aircraft up to 15,000 kilograms (33,000 lb) so it was barely able to reach 7,400 metres (24,300 ft). Fuel consumption lightened the load and the Dornier could reach a maximum operational ceiling of 8,400 metres (27,600 ft). The speed of the N was a maximum of 500 kilometres per hour (270 kn) at 6,000 metres (20,000 ft). The N-2 was much improved, as it was much lighter and refined. Overall the N-1 was an initial production of the J-1 version. Powered by a DB 603 it had similar armament to Do 217J-2, retaining defensive armament. Entered service in April 1943. Some modified with dorsal and ventral guns replaced by wooden fairings as Do 217 N-1/U1, conversion with Schrx�ge Musik arrangement of four upward firing 20-mm MG 151s as Do 217 N-1/U3. About 240 built. The Do 217 N-2 was a new build equivalent of Do 217 N-1/U1, some were fitted with two or four cannon in Schrx�ge Musik installation. About 95 were built until it was retired from front line use in mid 1944. The N-2 was originally not to have the Schrx�ge Musik armament configuration or a break parachute. It was then decided the configuration to fit the armament set for better tactical reasons. A semi-rigid brake parachute was also installed for unspecified reasons. The N-2 prototype was a converted E-1, serial 0174, code PE+AW. The Dornier N-2 handbook gives the date of the aircraft's appearance as April 1944. The communications were improved with FuG 16 ZY and FuG 214. The B and C cupolas were deinstalled and the positions fared over, with Plexiglas and wood. The MG FF guns were eliminated and MG 151/20 cannons replaced them. The MG 17s in the nose were abandoned with more powerful armament, but this was never carried out. To kill the excess weight that had plagued earlier types, the bomb bay, its doors, and the bomb release gear were removed and changes were made to the control panels. The gaps were replaced by lighter wood parts which reduced weight and enabled more weight to be expended on armament protection for the crew. The N variant was the most heavily armoured Dornier variant. The improvements enabled a top speed of 525 kilometres per hour (283 kn) (an increase of 25 kilometres per hour (13 kn)) and a reduction from 15,000 kilograms (33,000 lb) to 12,500 kilograms (28,000 lb), which increased ceiling height to 9,500 metres (31,200 ft). The A variant was a pre-production reconnaissance version, with original shallow fuselage and powered by DB 601A engines. Armed with three MG 15 machine guns. Eight built, entering service in late 1940, and used for secret reconnaissance missions over the then neutral Soviet Union. Although the specifications had originally envisaged a multi-role aircraft which could perform bombing missions, it was to function in reconnaissance roles. On 10 March 1939 it was decided to name the aircraft the Do 217 Rowehl. The fuselage had to be extended to accommodate the two cameras which could be "accessed directly by the crew" (presumably in flight). Dornier was ordered to produce three A-0 series machines up to the E variant. This changed to six as the number of reconnaissance machines was inadequate for the military's need. The small production run would consist of six aircraft. The original power plants, the DB 601Fs, could not be installed in time and the lower performance DB 601B engines were assigned to the type instead for the short term. As in the Dornier Do 17, Rb 20/30 and 50/30 cameras were to be installed. The 20/30 would be fitted in the fuselage while the 50/30 camera was to be placed in the cockpit and be jettisonable. For emergencies the aircraft was to have a fuel transfer unit control installed to move fuel from one tank to another. The first four A-0 aircraft were powered by DB 601Bs while the last two were given DB 601N engines in January 1940. The tests were problem free. However the RLM requested a B variant design which would have a fairing in which the film footage would be stored. Dornier reported that the A-0s were not getting the power plants they required for high altitude reconnaissance sorties so construction had to be delayed. The Do 217B program was suspended, as it turned out, altogether. Dornier completed work on the V6 prototype, the fourth A-0 aircraft. On 15 October 1939 it was flown successfully. The bomb bay had been enlarged and continued testing various weaponry until 1941. It had DB 601R engines installed and its wing was enlarged in early 1941. The DB 601Rs could operate a maximum altitude of 5,800m and would use high octane C3 level aviation fuel. It should have been ready to fly by March, but problems with the engines slowed progress. At that time Dornier was working on additional features, in particular a new pressurised cabin for the A variant. It also hoped to introduce GM-1 booster units to increase performance at extreme altitudes. The first trial of this aircraft took place on 23 April 1940. The RLM had stated it wanted the A prototypes to be tested by May 1940 with its high altitude engines. Owing to unresolved engine complications testing was delayed. Finally, on 1 October 1941 RLM ordered Dornier to return the aircraft to its original condition and abandon high altitude modifications. In January 1942 Dornier was ordered to prepare the two Do 217A aircraft fitted with DB 60Fs for immediate combat operations in both transport and bomber roles. The conversion was to be complete by February but the aircraft were not operational. Finally one machine was made ready and began operations with DB 601F engines on 30 December 1942, some ten months later. The other machine was sent to Lwental in July 1940 and had undergone trials with autopilot controls. From March 1941 it had been fitted with BMW 801A-1s and later A-2 engines for greater reliability on long range sorties. In the summer of 1942 BMW 801D-1 engines were installed while later it had trials with VMW 801D-2 engines which had GM-1 boosters fitted in January 1943 for high performance at altitude. A number of the A prototypes served as test beds through the war. The last (V7) flew testing improvised de-icing systems at altitudes of 9,000 metres. In December 1944 the Dornier projects were halted owing to lack of fuel. In 1940-1941 the A-0s that were allocated to combat units saw service mainly in Western Europe serving in Kampfgeschwader 2 from bases in the Netherlands. The C series was a pre-production bomber powered by DB 601A engines and original shallow fuselage. It had five MG 17 machine guns installed and 3,000 kilograms (6,600 lb) bombs as its main offensive armament. Five were built and used as test beds. The V9, which had acted as a prototype for the E variant was also used for the C-0 series. The C-0 was a three crew combat aircraft powered by Jumo 211B engines and had a four bladed 3.8m airscrew. The RLM found no faults with the new machine in a June 1939 inspection. The only minor complaint was the limited view from the pilots’ seat. Apart from the same engines and small fuselage space inherent in C series aircraft, externally the C looked like the A-0 series. On 12 November 1940 Dornier increased the number of the crew to four to enable the five MG 15 weapons in the A, B and C-Stand positions to operate with the maximum protection. The bomb bay had also been modified to take four SC 500 or multiple SC 50 bomb loads. The Do 217 C-0 was equipped with a Lotfe 7A bomb aiming system and a Revi 12C sight for the pilot. For high altitude flight 16 32 litres worth of oxygen bottles were installed. The C-0 was capable of achieving a maximum speed of 475 kilometres per hour (256 kn) at an altitude of 5,600 metres (18,400 ft). Carrying a full operational load, its maximum speed was reduced by 20 kilometres per hour (11 kn). The first Do 217 series aircraft, Wk Nr. 2710 flew on tests between September 1940 and March 1941. It crashed on 2 July 1942 at Rechlin. The second C-0 prototype was fitted with dive brakes on the under side of the wings but this configuration was abandoned in January 1941 and replaced by a brake parachute installed in the tail. The third prototype flew on 6 September 1940 and four further machines flew between September and November 1940. The final machine, 2716, flew on 6 November 1940. The eight machines remained at Rechlin in various test bed roles until at least July 1942. The C series project was abandoned and its variants never entered mass production. The Do 217 H was a conversion of a Do 217E with DB 601 engines fitted with experimental turbo-superchargers. The H V1 to H V3 prototypes were designed as unarmed bombers with DB engines with 3.8 m VDM propellers. Bomb, Rb cameras, and dive brakes were all dispensable. The HV 1 was delivered in September 1941 but crashed soon after as a result of the propellers. After the evaluation of the flight, the wings were expanded to 67m�. In September 1943, after nearly two years of constant delays, the V1 was fitted with DB603G prototype engines. It is unknown how these tests developed. The H V2 also crashed on 25 October 1942 severely injuring the crew. The cause was the propellers. The H V3 tested a variety of DB603s until November 1944. On 9 June 1942 it successfully tested at high altitude. It also proved successful testing twin exhausts and pulse jets. Later, in October three and four-bladed duralumin propellers were used. Because of better vibration characteristics, the four-bladed VDM was judged the best performer. On 11 October 1942 the first flight was made at 8,000 m. After, 9,000 m flights were reached. In September 1943 the DB603E which had improved superchargers giving better high altitude performance. The H series continued as test beds for the M series until October when they were cancelled for lack of fuel. The L was a variant of the Do 217K with revised cockpit layout and armament. Only two prototypes were built. The R was a Dornier Do 317 with cabin pressurisation systems removed and modified to carry Hs 293 missiles. Only five built. High altitude reconnaissance/bomber version with two DB 603B engines supercharged by Daimler-Benz DB 605T engine in centre fuselage. Three prototypes, plus three pre-production Do 217P-0 aircraft, armed with six MG 81s. Ceiling of 16,200 metres (53,100 ft). Do 217 A-0 : Pre-production series with two 1,100 PS (809 kilowatts (1,085 hp)) DB 601B inline engines, used for reconnaissance missions. Only eight aircraft were built. Do 217 C-0 : Pre-production bomber, DB 601B engines, increased defensive armament. Only four built. Do 217 E-0 : Pre-production bomber with deepened fuselage and powered by two 1,560 PS 1,147 kilowatts (1,538 hp) BMW 801A engines. Do 217 E-1 : Production bomber with five 7.92 mm (.312 in) MG 15 machine guns and one 15 mm MG 151 cannon for defence. Do 217 E-2 : Bomber with dive bombing capabilities, with three 7.92 mm MG 15s, two 13 mm (.51 in) MG 131 machine guns, one 15 mm MG 151, and a 4,000 kilograms (8,800 lb) bombload. Do 217 E-3 : Level bomber, seven 7.92 mm (.312 in) MG 15s and one forward-firing 20 mm MG FF cannon. Do 217 E-4 : BMW 801L engines. Do 217 E-5 : E-4 with extended wingspan, modified on production line to launch Henschel Hs 293 missiles. Do 217H : Conversion of a Do 217E with DB 601 engines fitted with experimental turbo-superchargers. Do 217K : Bomber with redesigned forward fuselage with stepped windscreen eliminated, a common WW II German bomber cockpit design concept adopted just before the start of WW II initially on earlier Heinkel bombers (He 111P and 177A). Two 1,700 PS 1,250 kilowatts (1,680 hp) BMW 801 G-2 radial engines. Do 217 K-1 : Standard bomber version. Do 217 K-2 : Extended wingspan to carry Fritz X bombs on underwing racks. Do 217 K-3 : Similar to K-2, but capable of carrying both Henschel Hs 293 or Fritz X. 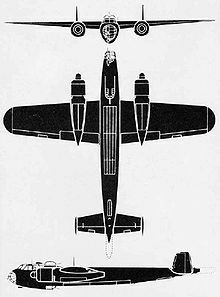 Do 217M : Bomber; Do 217K with 1,750 PS 1,287 kilowatts (1,726 hp) DB 603A inline piston engines. Do 217 M-1 : Equivalent to the K-1. Do 217 M-3 : DB 603A-engined equivalent to the K-3. Do 217 M-5 : Henschel Hs 293 carrier with a single missile mounted semi-externally beneath the fuselage. Do 217 M-11 : Similar to the K-2 with extended wingspan and Fritz X missiles. Do 217J : Night fighter based on the Do 217E. Solid nose with four 7.92 mm (.312 in) MG 17 machine guns and four 20 mm MG FFs. Do 217 J-1 : Night intruder version. Do 217 J-2 : Dedicated night fighter. Bomb bays removed. Do 217L : Modified version of the Do 217K with rearranged cockpit and defensive armament. Only two built. Do 217N : Night fighter based on the Do 217M. Armament similar to Do 217J but with improved 20 mm MG 151/20 cannons replacing the 20 mm MG FFs plus the addition of four 20 mm MG 151/20s as Schrx�ge Musik. Do 217 N-1 : Similar to J-2. Do 217 N-2 : N-1 with defensive gun turret removed to reduce weight. Do 217P : High-altitude reconnaissance aircraft with two 1,860 PS 1,368 kilowatts (1,835 hp) DB 603B supercharged by a DB 605T in the fuselage (the Hx�henzentrale, or "HZ" system) with a ceiling of 16,155 metres (53,002 ft). Three Do 217 P-0 pre-production aircraft only. Do 217R : Redesignated Dornier Do 317 prototypes used as Henschel Hs 293 carriers. The production of the Do 217 lasted until December 1943. Between January and August 1944 conversions only took place. Below its a list of the numbers produced. In October 1945 Captain Eric Brown undertook full handling trials with a Do 217 M-1 WNr 56158 at RAF Farnborough. He recalled a distinctly "underwhelming" experience. Brown recalled that he took off with full power of some 2,700 rpm and the lightly loaded Do 217M left the runway at 99 mph (159 km/h). Brown held a shallow climb, waiting to reach 124 mph (200 km/h) before retracting the undercarriage. Brown timed the time it took to retract, which was between 30 and 40 seconds. At 500 feet (150 m) he reduced power to 2,500 rpm and raised the flaps at about 143 miles per hour (230 km/h). With the flaps up a climbing speed of 143 miles per hour (230 km/h) was established giving a rate of "very moderate proportions". While in cruising mode, Brown took the Dornier to 18,000 feet (5,500 m) and with the tail at +2degrees angle of incidence, gave it a top speed of 325 miles per hour (523 km/h), true air speed. Brown stated the aircraft was very stable about all three axes, and the controls were well harmonised and effective, and not unduly heavy for bomber operations. At the other end of the speed range, the stall occurred at 96 miles per hour (154 km/h) and was characterised by a gentle nose-down pitch. At this stage Brown tried the Dornier's single-engine performance and this "proved decidedly unimpressive". It underlined the fact the aircraft was underpowered. Above 4,930 feet (1,500 m), height could not be maintained at 2,300 rpm and its ceiling was barely 25,000 feet (7,600 m). Brown reverted to "normal power", and decided to "chance his arm" (risk) a dive-bombing procedure in what he described as a "ponderous aeroplane". Brown made a straight dive to 435 miles per hour (700 km/h), the maximum permitted below 10,000 feet (3,000 m) in order to get a feel for the controls, which began to stiffen considerably. The engine revolutions built to 2,750 during the dive causing a lot of noise. Brown pulled the aircraft out of its dive though it called for a "good full-blooded heave" on the control column. After climbing to regain the height lost, Brown decided to test the tail-mounted, clamshell-like dive brake and automatic pull-out equipment. The Dornier entered the dive automatically when the dive switch was selected and soon attained its "braked condition" limiting the airspeed to 357 miles per hour (575 km/h). The pull-out was initiated by hitting the bomb-release stick on the control column or selecting the "level flight" switch which also retracted the dive-brake. Brown stated, "All very sedate and totally unimpressive as a precision weapon". The landing procedure began at an air speed of 155 miles per hour (249 km/h). The oil coolers were opened fully and the radiators hatches opened to 30 degrees. At 149 miles per hour (240 km/h), the undercarriage was lowered, which again took 30-40 seconds to deploy. Flaps were lowered to their start position at 146 miles per hour (235 km/h) and fully deployed at 137 miles per hour (220 km/h). The tail had to be trimmed to 4 degrees incidence (tail heavy). Final approach was made at 124 miles per hour (200 km/h) and touchdown occurred at about 99 miles per hour (159 km/h). Landing weight was roughly 28,000 pounds (13,000 kg). The control column had to be held back beyond the neutral to keep the tail wheel locked until the landing run was complete. Twelve Do 217 J-1 and J-2 variants were acquired by Italian Regia Aeronautica between September 1942 and June 1943 for night fighter operations. One Italian unit was equipped: 235a Squadriglia of 60� Gruppo (41� Stormo). Based at Treviso San Giuseppe, then at Lonate Pozzolo, the unit performed poorly. The unit shot down only one enemy aircraft, and lost one of their own, after nearly a year of activity. Swiss Air Force operated a single Do 217N-2, interned after landing at Basel in 1944 or 1945 and was in use until at least 1946. A total of 1,925 Do 217s were produced. Today, no complete aircraft survives. The largest known relic of this aircraft, a large piece of the rear fuselage, can be found at the Italian Air Force Museum in Rome. Data from Schmid, Jaroslav (1993). Letadla 1939-1945 Stx�hacx� a bombardovacx� letadla Německa 1. dx�l (fighter and bomber aircraft of Germany 1939-45, part 1). Fraus. ISBN 80-85784-02-5. Max Load 4,000 kilograms (8,800 lb) internally & externally. Max Internal Load 2,517 kilograms (5,550 lb). Donald, David (Editor) (1994). Warplanes of the Luftwaffe. 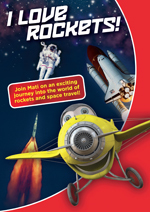 London: Aerospace Publishing. ISBN 1 874023 56 5. Price, Alfred. "Variant File:Dornier Do 217: The 'Baedeker' bomber". International Air Power Review, Volume 5, Summer 2002. pp. 108-123. ISBN 1-880588-44-7. Price, Alfred. 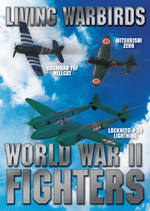 "Database: The Dornier Do 217" in Aeroplane Magazine. March 2009 issue.